Protogen was a private company from Earth. Their corporate logo emblem was green and gold, and their slogan was "First. Fastest. Furthest." Although primarily known as the security firm on Eros Station, they also had a large research division. Though not an interstellar body or government, the Protogen Corporation is one of the most secretive and influential entities in the entire solar system. Protogen was primarily known as a Security company, originally established on Eros and working there. The corporation however also had a large research arm and was contracted by Mars to study a mysterious finding on Phoebe Station. Protogen is one of the foremost technology companies in the galaxy, and this is reflected in its resources. The company is one of only two entities, along with the Martian Congressional Republic Navy, capable of producing Stealth Ships. This technology is in fact so advanced that these vessels are capable of going toe to toe with the Martian Navies most powerful vessels. This strength and technological advancement have allowed Protogen a significant amount of leverage within the galaxy. They have infiltrated the UN and MCR to a high degree. Mostly working from behind the scenes, the company has taken to researching the mysterious Protomolecule, shifting its resources to study and take note of this extra-terrestrial substance. 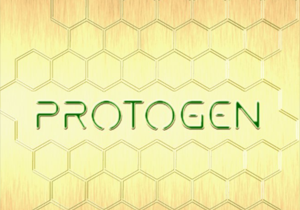 Protogen is a vast company, meaning that all sorts of people work for it. Belters, Earthers, and Martians are all employed by Protogen in some way or form. This means that its employees can vary drastically. This inclusiveness is not practiced out of any altruistic sense, but rather pure pragmatism. Immediately after this coup, the OPA struck a United Nations and MCRN peace conference meant to discuss the spread of Stealth Technology to other entities. The bombing killed hundreds of men and women, taking out Ambassadors, Naval Officers, and heads of Government. Each planet suffered greatly, and the impact rippled to induce special elections in both the UN and back on Mars. In the wake of this Chaos, Protogen, the company behind both Eros and the new stealth ships attempted an assassination of Undersecretary Chrisjen Avasarala, though this failed she has now all but disappeared. In light of this failure, Protogen's internal board of directors pushed out Jules-Pierre Mao who is presumed either dead or missing. They now seek to further progress with the Protomolecule on Ganymede. This page has been seen 871 times.